Thimbles - high load teflon coated anodised machined aluminium - alternative to blocks where static load is applied. 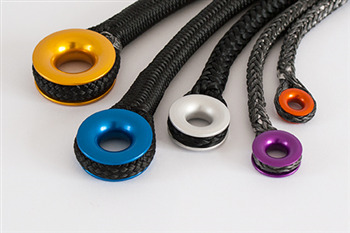 All sizes are available in black, blue, silver, purple, gold and orange. Also available in stainless steel.